Jack is one of several trainee police officers who have been out to LandWorks on a short weekly placement. This is an ongoing arrangement which sees a trainee police officer on site for a week, every 3-4 months. Matt comes to LandWorks on a Release on Temporary Licence (ROTL) from the local prison. He can mostly be found in the wood work shop working on the lathe turning bowls. He turns his hand to most things and is a good cook, when he gets a turn in the kitchen. Reece has been referred to LandWorks through probation. He is working full time, so comes out at least one day a week. Since being at LandWorks he has developed a keen interest in and love of pottery. When he is on site he can be mostly found at the potters wheel. Terry is coming out to LandWorks on a Release on Temporary Licence (ROTL) from the local prison. He has been in and out of prison as he says for most of his adult life. This last time after being homeless for a number of months. He is looking to turn his life around. This time on release he has secured some accommodation and is now looking for employment. Sean was referred to LandWorks through probation. He had some community hours and rehabilitation activity requirements. He is a painter and decorator by trade and has recently moved to the area to be with his new partner. He says that he’s pretty easy going, easy to get along with and a lot more relaxed than he used to be. His first job at LandWorks was to ‘crack on with the painting’ and has had a go at turning some plates. The best bit he says, is the food that’s served every day. Holly has been coming out to LandWorks since May. She worked as a florist before moving to the area to be near her mum, who hasn’t been very well. She has not been in trouble before but has appreciated being able to complete her hours at LandWorks. She is hoping to carry on coming out on a voluntary basis. Alfie is coming to LandWorks on day release from the local prison. He is though looking to move to a category D prison as soon as a place is available, so that he can be near to his mum, who is currently travelling for several hours to visit him. This is his first prison sentence and he has been using it as an opportunity to learn some new skills. He is hoping to get employment as a pipe fitter when he is released and has been helping out on various plumbing projects at LandWorks. Dimone has been coming out to LandWorks since May, in order to complete his rehabilitation activity requirements. He is passionate about cooking and has cooked lunch for everyone with a LandWorks cooking volunteer on most of the days he has been on site. He is looking to start as an apprenticeship chef with a fish restaurant soon. He was homeless for some time, before moving in with his mum and her partner locally. Helen was referred to LandWorks by her probation officer and has been doing community service. After the death of her mother, a divorce and a skiing injury she moved to Devon in 2014 to be with her new partner. Prior to the move she lived in Scotland and majored in languages at University. She worked in government for 28 years where she specialised in areas such as tourism, promotion, business support, archaeology and the film office. Lee is coming out to LandWorks on a day release licence from the local prison. He has three grown up children (the eldest is 30) and usually works as a fencer. He likes to be busy and enjoys working at most things. He has been surprised at how much he has enjoyed working on the lathe at LandWorks and selling the resulting wood products. The day he was arrested he had seven dogs at home. He likes to take in rescue dogs to give them a last chance. Eric has been coming out to LandWorks on day release from the local prison since November 2017. He is hoping to get himself back in to shape for a working way of life, ready for release in April 2018. Before he came to prison he was a machine operator for five years, working on many different sites around Devon and Cornwall. He says he has definitely learned his lesson and won’t be making the same mistake and decision that got him into trouble, “because believe me guys it’s all about the decision making”. Quentin has been coming out to LandWorks on day release from the local prison since October 2017. He was not sure if there would be opportunities for him at LandWorks, but has discovered an aptitude and strong interest in pottery, which was a surprise. He also joins in with work in the market garden, painting and cooking. Frankie has been coming to LandWorks on day release from the local prison since the end of August 2017. He is a farmer coming to the end of two-years in prison, following a Health and Safety offence on a farm. Jarvis is coming out to LandWorks released on temporary licence every day from the local prison, in preparation for release in six weeks’ time. He has had a criminal career and served a number of prison sentences. He is now in his 50s and wanting to completely change his life. He is married but has been separated from his wife for the last four years. He is new to the area and anxious about ‘normal’ everyday things like cooking and shopping for himself. He has a lot of skills, but is as yet unsure about how he can put these to good use. LandWorks is supporting him as he works to turn his life around and makes the transition from prison to everyday life. George: is coming out to LandWorks on day release from prison. He has worked as a plumber for 15 years in the Devon area. He has progressed through the prison system during his time there. He did a peer mentoring course, going on to work for the Shannon’s Trust helping other inmates in the prison to read and write, before becoming a coordinator in the prison as a listener. He has a partner and a young son, who was just 2 years old when he went to prison. They visit once a week and he speaks to them on the phone every night. He is looking to develop new skills and maybe bring a few of his own to LandWorks. There are certain things that he’s never done before, like cooking, carpentry, market gardening, and he’s which hoping to enhance his skills ready for release. Joe: is trying to fit in his community hours at LandWorks whilst holding down a full-time job. He works in a food store, but also works with a theatre company that tours the South West doing murder mysteries and role play evenings. He is the second oldest in a family of five siblings. He has lived in the area for 17 years and considers Devon his home. He loves the sea and the countryside here. He can play the piano, though claims to be ‘a bit rusty’, but loves his music and socialising. He would love to get a play published and make a living from acting full time, these are his ambitions/dreams, “apart from not getting into trouble again” he says. Benny: is coming out to LandWorks on day release from prison. Before prison and LandWorks he worked as a business manager for 16 years. He’s now doing a range of resettlement work at LandWorks and is really enjoying learning how to become a market gardener, it is something he had never thought of doing before. He is hoping that by learning about market gardening he will be able to use his new skills in employment or as a hobby in his own garden, when he’s released from prison. Benny’s family have been very supportive, visit regularly and think project’s like LandWorks should be available to all prisoners in preparation for release. Rachel: is a police officer, who started a 2-year diploma in policing around 15 weeks ago. Prior to joining the police force, she worked as an assistant manager in a local supermarket for five years, simultaneously working as a special constable for two and a half years. It was whilst she was a special that she received a commendation for an incident she handled particularly well. She has lived all her life in Devon, sharing her home over the years with a variety of pets, currently she has a tortoise (a 21st birthday present), two leopard geckos (an 18th birthday present), a dog (just the one), four chickens and a couple of goldfish. In the past, she has had a giant African land snail, stick insects and she says, “I’ve had sort of everything that you can have as a pet, it’s been great”. She has wanted to be a police officer since she was a teenager, because she wanted to help people and had an interest in the law. She says, “I’ve always been one who likes to be able to talk people through things”, hence she says that the police “is the perfect job for me really”. Troy: moved to Devon to get away from his old life, with his mum and younger brother two and a half years ago. He’d been in trouble as a youngster which resulted in a couple of short prison terms. When he moved to the area he managed to get a good job but because he didn’t declare his previous convictions on the application form was subsequently prosecuted and given a community sentence, which he has been completing at LandWorks, since early June. He was sacked from this job just before Christmas and hasn’t managed to get another. He says it’s hard to get to know people when moving to a new area, so he is hoping to learn some more skills or a trade that will help him get work. He’s been enjoying the carpentry with Graham and has tried his hand at woodturning too. Marshall: has been coming out to LandWorks a few days a week since early May. He trained as a chef after being “kicked out” of school eight years ago. He did a three-year training course at college and an apprenticeship at a prestigious restaurant in Devon. He says that he fell in with the wrong crowd, got into trouble and lost everything, his job and his flat. He’s looking for stability in his life now with his girlfriend and her child. Since, coming out to LandWorks he’s enjoyed woodworking, including wood turning and working with clay on the potter’s wheel. He has a chef’s eye for detail and has enjoyed cooking lunch for everyone. He is also managing to work, whilst completing his Rehabilitation Activity Requirements and gaining new skills at LandWorks. Sandy: started coming to LandWorks at the end of March and has been referred through probation. He recently moved to the area to be near his grandparents. In the past, he has worked in an elderly care home, a nursery for children and for a waste disposal company. He is the eldest in his family and has two brothers. He was diagnosed as lactose intolerant at the age of two and subsequently doesn’t consume milk or cheese. He is into his music and is looking for work, with the prospect of possibly starting a woodworking or other training course in September. Simon: was referred to LandWorks from the end of November and is on probation. He last worked as a care-worker and is looking to get into that line of work again. Previously he worked in the building trade after leaving the army, where he served 12 years from the age of 16, working in the Lifeguards and Household Cavalry. It was when he was in the household cavalry that he sustained the first of two serious life changing head injuries. The first from a horse in the cavalry and the second five years ago in a near fatal motor bike accident. He has bi-polar because of the first head injury and is currently taking stabilising medication. He has grown up children and a supportive family. He is currently living on his brother’s farm in Devon. Brett: is on probation and started coming to LandWorks in November. In the past he worked as a self-employed landscape gardener and had his own gardening business for about four years. He always worked until he was forced to stop due to health issues which arose as a result of long term drug abuse. He is enrolled on a rehabilitation course, which he attends on a regular basis. He enjoys working in the art room and gardening. He has also recently started cooking, which is something he had never really done before. He is the father of twin two-year-old boys. James: started his placement at LandWorks at the end of November. In the past he enjoyed doing ground works and worked on the Newton Abbot bypass. He has also worked as a general builder, as a foreman on a building site and had been making plans to start his own business. He has come to LandWorks to get back into a work frame of mind, having recently secured permanent accommodation (after a period of sofa surfing, sleeping in cars and occasionally on a bench at the seafront). He says he doesn’t want to commit any more crime or get into any more trouble and is hoping to get back into the building trade. He has two daughters and is slowly rebuilding his relationship with the eldest. Rodney: has been involved with LandWorks since April. He mainly does the woodwork and construction side of things. He has his level two construction skills diploma, but is happy to get stuck in to all aspects on the site. Although carpentry is his specialty everything he does here he finds beneficial. He says he’s always learning something new. He doesn’t come out hoping to do one thing or another, he likes to do a bit of everything. He says because everyone here wants to turn themselves around it is a better environment for him. It is a motivator for change. Matthew: has recently been involved with LandWorks for nearly six months. He says he enjoys being ‘feminist and fabulous’ (he wears this apron when he’s cooking). He’s been working in the workshop, has helped on the cob wall and the electrics for the new building. He really likes driving the dumper truck and is brilliant at selling products on the stall to passers by. He says if it wasn’t for LandWorks he’d be sat in a prison cell, or in a lot of trouble. Recently he’s been cooking for everyone and his garlic bread is legendary, along with his lasagne. Graham: is an experienced carpenter and builder, who was a trainee at LandWorks for 12 months from July 2015. During this time he worked on the new building from start to finish, which is testament to his skills and attention to detail. After two and a half years in prison being at LandWorks was a blessing for the last 12 months of his sentence. He involved himself in all aspects of the project, he thoroughly enjoyed cooking and making produce to sell, from wooden items to mince pies. He was released from prison at the end of July 2016 and is now employed at LandWorks as a woodwork trainer. Julie: is an associate professor in sociology at Plymouth University and lead researcher for the PeN Project. 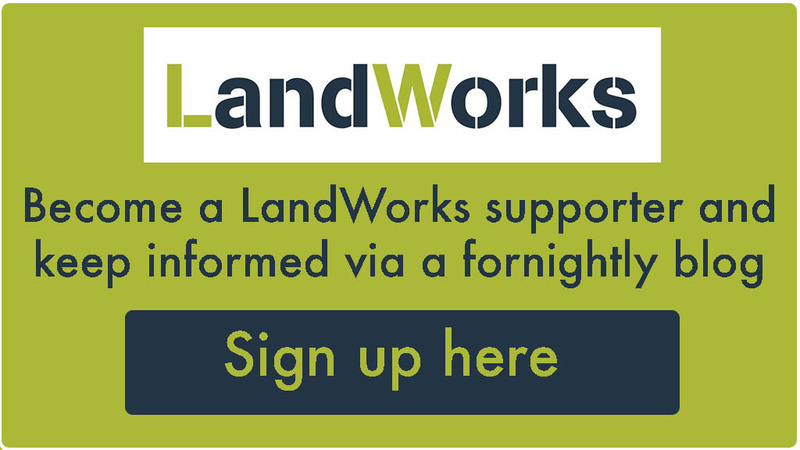 Julie has been involved with LandWorks in a number of capacities (e.g. driver, supporter, cook), since the scheme began. Most recently completing research as a Sociology of Health and Illness Foundation (SHI) Mildred Blaxter research fellow, examining ‘commensality’ (eating together around a table) as a tool for health, well-being, social inclusion and community resilience. She has also worked with a number of colleagues on a range of research projects incorporating visual methods and participatory approaches. NB. Trainee biographies are anonymized.